Indonesian search teams have spotted debris and a body at sea in the hunt for missing AirAsia Flight QZ8501, officials say. Several objects and a body were seen floating in the Java Sea off the Indonesian part of Borneo, in one of the search zones for the plane. An Indonesian official said the debris was 95% likely to be from AirAsia Flight QZ8501. The Airbus A320-200, carrying 162 people from Surabaya in Indonesia to Singapore, disappeared on December 28. 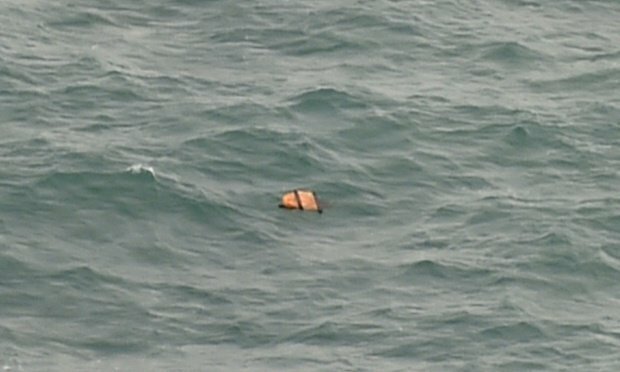 During a news conference by the head of the operation, pictures of the debris were shown, including a body floating on the water. Search operation head Bambang Soelistyo said he was 95% certain the objects shown were from the plane. All resources were now being sent to the area where the debris was found, and all objects or bodies found will be taken to Pangkalan Bun, he said, referring to a nearby town in Central Kalimantan province. He added that the objects had been found 100 miles south-west of Pangkalan Bun. At least 30 ships, 15 aircraft and seven helicopters joined the operation when it resumed at 06:00 local time on Tuesday, December 30. Earlier, Indonesian officials said they were investigating reports of smoke seen rising from an island close to Belitung island, one of the focal points of the search, though experts cautioned it could be unrelated to the missing plane. The plane left Surabaya at 05:35 Jakarta time on December 28 and had been due to arrive in Singapore two hours later.